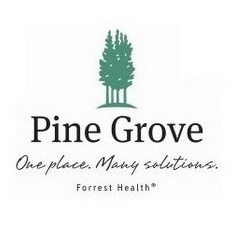 I'm so grateful to have had the opportunity to return to Pine Grove Women’s Center for the Days of Hope. This event is put together by Pine Grove’s alumni coordinators Carver Brown and Lauren White and offers alumni continual recovery support throughout the year. The Days of Hope gives me the opportunity to not only recharge and enhance my recovery experience, but it also gives me the chance to provide hope to those who are currently in treatment. For me, there is nothing more fulfilling and gratifying than sharing my experience, strength, and hope to the current patients…showing them that recovery can be achieved; showing them that lives can change and people can forgive. The feeling I get from helping someone is better than any high I’ve ever gotten from drugs and alcohol. I feel blessed to be able to give back what was so freely given to me!! I would have to say that Days of Hope is my favorite type of service work. What is your favorite way to give back?